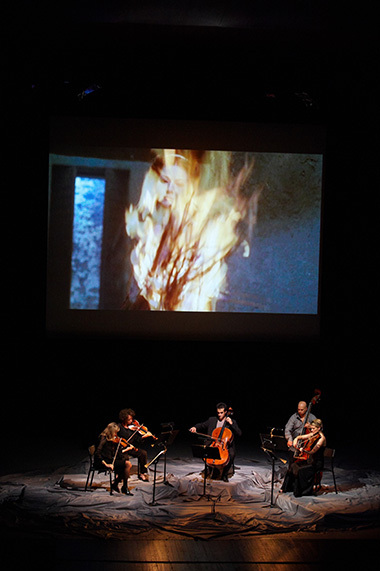 The Traffic Quintet performs film music with an original formation - the string quintet, while combining and punctuating their musical performances with visual creations. After a successful first show dedicated to French Nouvelle Vague cinema, Solrey has created a new program around actresses who, each in their own way, have become myths. Whether they have been long incorporated into the collective unconscious (Marilyn Monroe, Ingrid Bergman or Maria Callas) or whether they are currently in the process of becoming icons (Nicole Kidman, Sharon Stone and Isabelle Adjani), these female figures accompany us in the search for the ancient and universal myth of Medea. We see Maria Callas, during her only appearance on the silver screen, in the role of Pier Paolo Pasolini's Medea. This mythical figure is the common theme of Divine Féminin, a musical drama in four acts, each one beginning with a musical fragment of Medea material from Pascal Dusapin's opera. Murderous, deep, lost women - together the creator Solrey and the videomaker Ange Leccia revisit the vibrant theme of the "eternal feminine", and also pay homage to the painter most inspired by American film noir, Jacques Monory. Une espèce de cinéma des songes - A kind of cinema of dreams (J. Monory) is born of their encounter with the composer Alexandre Desplat. 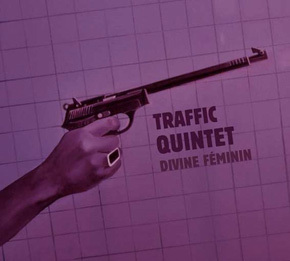 At the crossroads of genres and disciplines, the Traffic Quintet confirms its mission: to do film music justice by associating it with elaborate artistic projects. Born in Paris (1924). Lives and works in Cachan, near Paris. From the very beginning, Jacques Monory's work has been a catharsis of the fear of death. Very directly with Meurtres, always more or less stealthily, a hint of catastrophe through very cinematographic subjects. Personal obsessions face collective myths. A passionate pessimist, his painting, films and texts make him a pertinent witness to our lives. An icily ironic view of the world; his humor is sometimes tinted with tenderness where women's faces pass. Jacques Monory is a romantic at a time where his expression can only take on an appearance of realist dandyism. 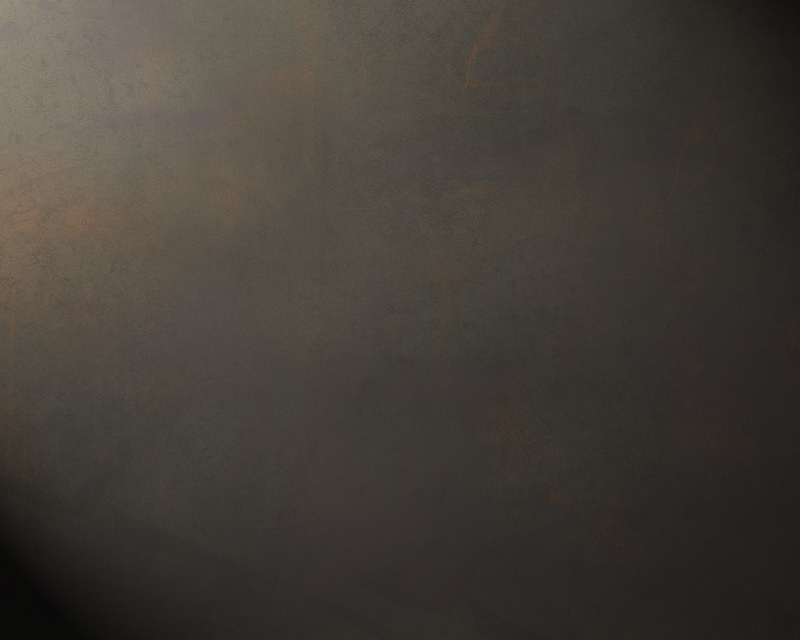 Set designer, filmmaker and director, Bruno Cohen has created numerous theatre, videography and scenography projects. He has also produced countless exhibitions and following the great tradition of visual arts in France, he has directed over fifty virtual theatre projects for museums and live performances. For over twenty years he has combined new digital technology and the performing arts: Dialogues imaginaires, virtual theatre for the Jacques Callot year in Nancy; camera virtuosa at the ZKM in Karlsruhe, part of the permanent collection at the Media Museum; mais... l’ange, an installation presented in Montbéliard, Belfort and Prague. 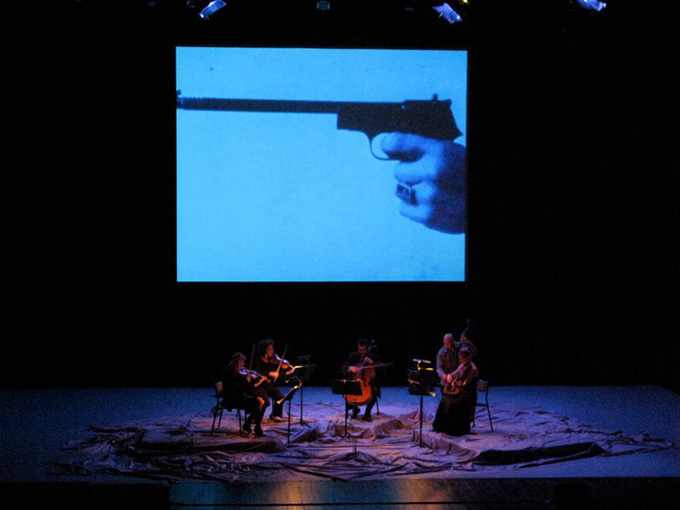 For Avignon off 2005 (Théâtre de la Manufacture) he created des-illusions, a composite show that mixes dance, theatre, virtual images and music. Today he continues his work by writing and experimenting with composite artistic mechanisms that mix actors and virtual images within museography, choreography and theatre projects. Among his recent projects is a journey through time at the Théâtre Antique d’Orange in cooperation with Chorégies d’Orange and Roberto Alagna.